And 'ere's me face! 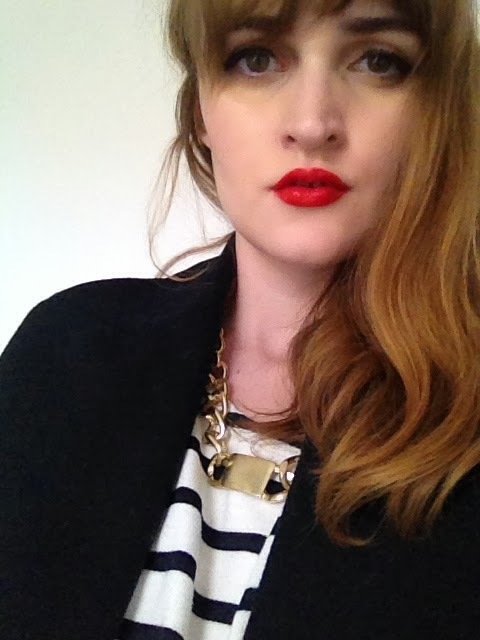 Necklace is from Ebay and the lips are by Revlon (which is running out, sobsob!) Awkward face is all my own. In a minute I'm going to a fireworks party with my aunt (so wild! But I'd rather spend time with my family over most people I know.) Do you know how hard I resisted the temptation to name this post 'Baby You're A Firework'? 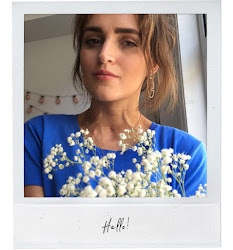 I wonder how many posts I'll see with that title this week, but I'm not complaining because I do love a blogger cliché. 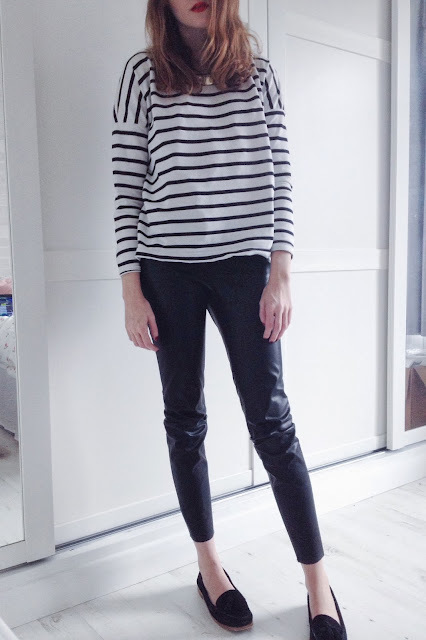 Talking of blogger clichés here's a very typical leather/stripes combo but you can't beat the classics. I'm also wearing this necklace for the first time, it was an Ebay bargain but I forgot about it! I usually like my jewellery teeny tiny but something a bit more 'look at me!' is good when you need to smarten up a bit. I'm basically wearing this to the party, I just swapped the trousers for my leather skirt. Are you ready for my mad layering skillz? I have three tops under my breton and leggings under my tights. Doesn't beat last years record though, I managed to get tights, leggings AND a pair of Primark fleecy jammie trews under a pair of leather trousers. Impressive right? And I know my poor Bayswater has taken a bit of a backseat recently since the Del Rey come on the scene but I'm determined to take it out a bit more often. I love how it matches the sole of these shoes which adds just a little more interest to all black outfits...it's teeny details like this that I love! OoOoOoOh I have got a very similar necklace on the way from eBay (from China obvs) and I am looking forward to wearing it with stripes & leather trousers! Hope you are warm enough tonight, it's reet grim up North. love your outfit, it's simple but very stylish! You inspire me ! I love this outfit because it's a more daring take on a classic, so it's probably as far as I'm likely to push myself outside of my comfort zone. L.o.v.e your lips and hair too - really adding some fire and warmth to this whole outfit! Enjoy your night - I'm smugly watching everyone's back garden fireworks displays from my behind my balcony window wearing my flannel pj's. mwahahaha! Those leather trousers are amazing! Every pair of trousers in Zara are amazing I just love the place! You look Bea-U-tiful Josie, that lippie suits you like no other. I pretty much love the classics, you look incredibly chic. Hi, Josie! Hope you enjoyed the fireworks. Haven't been here for a while and this look is so classic. Can pass for an ad in Mango. :) It reminds me so much of it. Love the necklace. Looks great with the stripes. That lipstick is amazing. 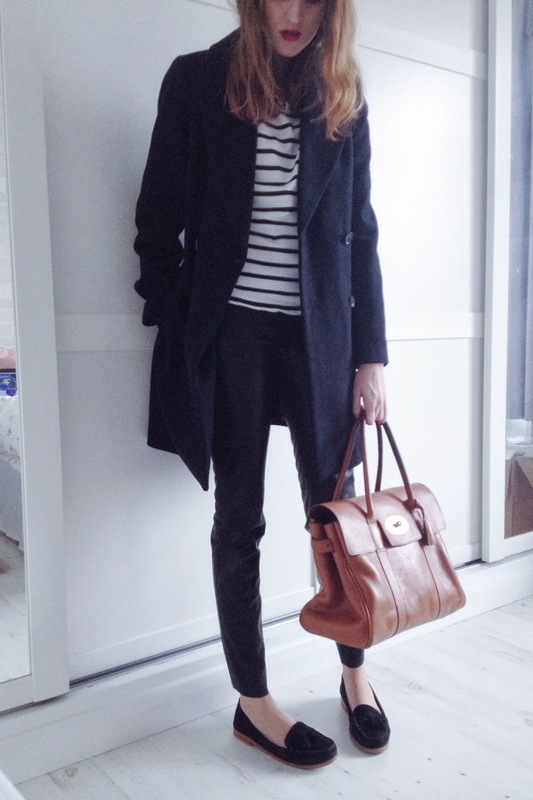 I love your classic stripes and coat! You are always so fabulous! May or may not have almost written a post with that title...Love the Bayswater, currently convincing myself I don't need one and the trouser too but how the hell d you fit all that under there, I struggle to fit my own legs and bum into leather trousers (muscle, it's all muscle...) nevermind other items! Love your entire outfit, especially your accessories! Beautiful! I really enjoy your blog so far and would love to follow each other--please join my GFC and I'll follow you right back! Amazing look. Stripes are the best!